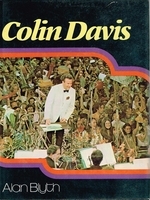 “Sir Colin Davis, the magisterial conductor whose career with the London Symphony Orchestra spanned over half a century had always dreamed of being a conductor, [but] his rise in the profession was not swift. His skill on the piano was wanting, as was, he admitted, his desire to play it. He was appointed as assistant conductor of the BBC Scottish Symphony in 1957 after three attempts for the job. By his own admission, he was hot-headed and short-tempered in his younger years, and his relationships with musicians and musical organizations early in his career were often tempestuous. Though he made his début with the London Symphony in 1959, it would be decades before he truly made his mark. In 1965, the London Symphony turned him down as chief conductor. For the next several years, first as chief conductor of the BBC Symphony, then as music director for the Royal Opera House, his career advanced slowly. It was not until 1992, with his masterful interpretation of the Sibelius cycle with the London Symphony, that his authority became apparent and his fame began to spread. Three years later, he was made principal conductor of the London Symphony, a position he held until 2006, when Valery Gergiev took his place. His mark on the institution was indelible. He championed Sibelius and Berlioz, whose major works he conducted in full with the London Symphony in 1999 and 2000. He also revived Mozart as a symphonic mainstay after a long absence. In 1997, he took the London Symphony to New York to conduct its first residency at Lincoln Center. He was principal guest conductor of the New York Philharmonic from 1998 to 2003. He received two Grammy awards for his recording of Berlioz’s LES TROYENS with the London Symphony Orchestra in 2002, and another in 2006 for Verdi’s FALSTAFF.